How To Apply For Asylum In The UK? If someone wants to claim for asylum, proper consideration has to be taken because this may mean you will be locked up in a detention centre designated by the Home Office while your claim is being assessed. To be eligible, you must have left your country and be unable to go back because you fear persecution. You can get up to 2 years in prison or have to leave the UK if you give false information on your application. What is the applicant’s basis of claim? Which of the applicant’s claims about past events can be accepted? Are the applicant’s claim as to his /her past experiences consistent with objective country of origin information relating to the relevant period, including generally well known facts? Taking into account the applicant’s statement and behaviour, does the applicant have a subjective fear of persecution? Objectively, are there reasonable grounds for believing that the harm feared might in fact occur in the applicant’s country of origin? Can the applicant return to a part of the country in which he/she would not be subject to the harm feared? Is the harm feared a form of persecution? You’ll need documents for yourself and your dependants (partner and children under 18) for your asylum screening. If you’re already in the UK, you and your dependants must bring documents that prove your UK address. You’ll need different documents depending on whether you’re living in your own accommodation or staying with someone else. You register your asylum claim at a ‘screening’. This is a meeting with an immigration officer where you tell them about your case. 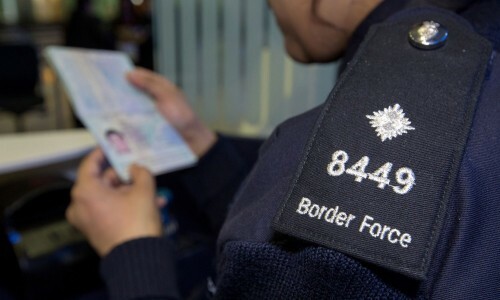 You’ll have your screening at the UK border if you claim asylum as soon as you arrive. You can also be screened once you’re in the UK if you become eligible for asylum. You’ll be asked why you want asylum. You can bring written evidence to support your claim if you want, as well as your identification documents. You’ll need to say if you or your dependants are taking any medication and give any relevant medical information. You can ask for a male or female interviewer, but your choice might not always be available. You must tell a Border Force officer that you want to claim asylum. Your application will be registered and you’ll be screened – ask for an interpreter if you need one. You must make an appointment with the asylum screening unit if you’re already in the UK. You may be asked to come back another day if you show up without an appointment. You don’t need to make an appointment if you have nowhere to live – you can go to the screening unit from 7:30am to 4pm, Monday to Friday. Arrive early to make sure there’s enough time to complete your screening. You can’t get financial help for travel to or from the asylum screening unit. Make an appointment for screening by phoning the screening unit. They’ll call you back and ask simple questions about you and your family. You won’t be asked why you’re claiming asylum. The call may take up to 30 minutes. You’ll be asked if you need help with housing. You can ask to have an interpreter at your screening. You may be detained at an immigration removal centre while you wait for a decision on your application. You can also be detained and removed if it’s decided that another country is responsible for offering you asylum. You may be able to appeal against the decision. Ask your legal adviser if you want an update on your application. You’ll be given or refused permission to stay in one of the following ways. You and your dependants may be given permission to stay in the UK for 5 years if you qualify for asylum. This is known as ‘leave to remain’. After 5 years, you can apply to settle in the UK. You may get permission to stay for humanitarian reasons if you don’t qualify for asylum. This means you need to stay in the UK for your protection. You and your dependants may be given permission to stay in the UK for 5 years. This is known as ‘leave to enter’ or ‘leave to remain’. You may get permission to stay for other reasons if you don’t qualify for for permission to stay as a refugee or for humanitarian reasons. How long you can stay will depend on your situation. You may be able to apply to extend your stay or settle in the UK towards the end of your stay. You’ll be asked to leave the UK if you don’t qualify for asylum and your caseworker decides there’s no other reason for you to stay. Don Magsino MBA is a student of Oxford Brookes University at Post-Graduate Degree in Law in Oxford, England, UK. He is a graduate of Ateneo De Manila University Graduate School of Business. He is a qualified and practicing Immigration Law in the UK. 07446888377 / 0207 316 3027. His London Office is located at 239 Kensington High Street, London W8 6SN. He is accredited by the Law Society in England and Wales and regulated by the OISC Level 3 (highest level in immigration professions). He has won difficult cases in immigration law. How To Apply for Marriage Visitor in the United Kingdom?